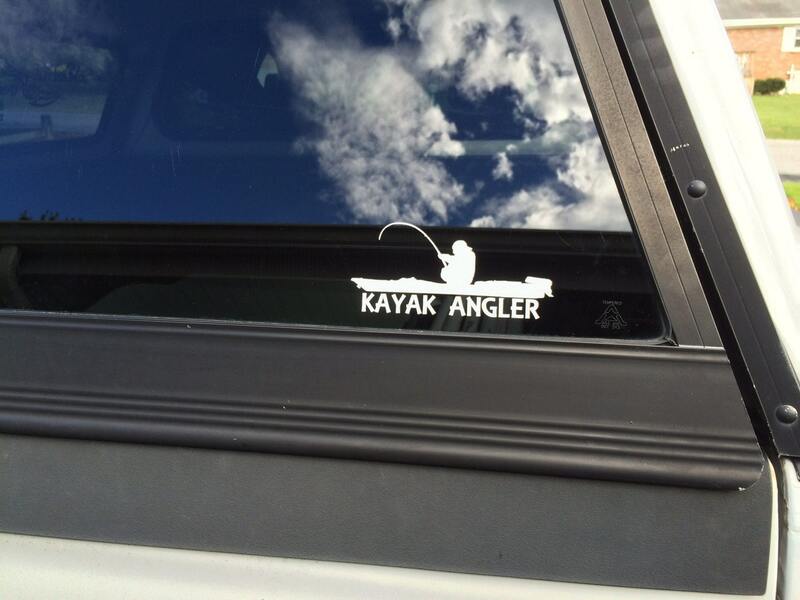 Vinyl kayak angler decal. One of the fastest growing sports and outdoor activities. 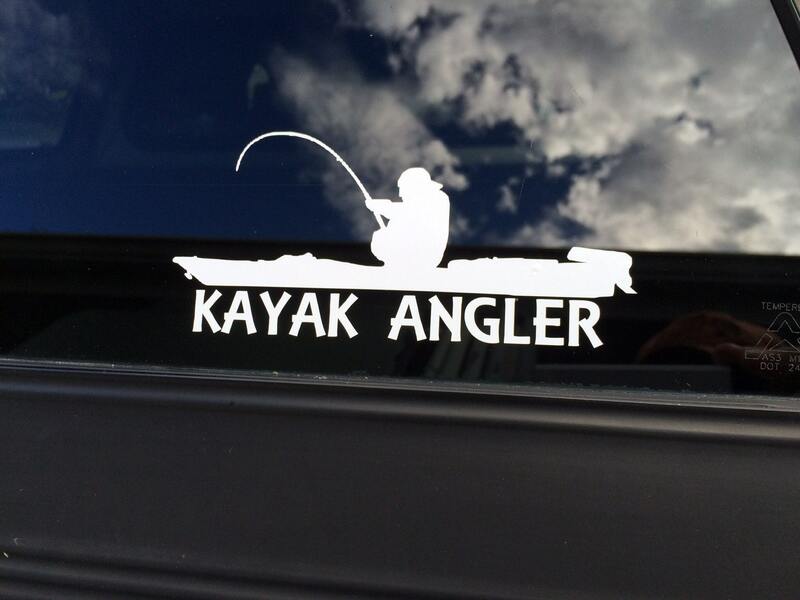 Show your love of adventure with this white vinyl decal. Long-lasting outdoor vinyl is premium quality and water/weather resistant. Stick it right on your boat! Will adhere to any smooth, clean surface. White looks best on tinted auto glass. 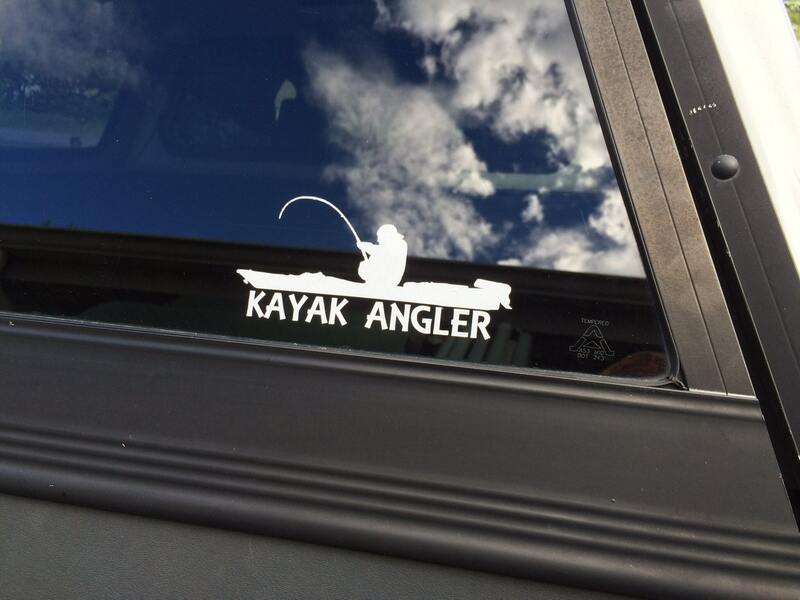 Order one for your boat and one for your truck! Application instructions included. High quality and looks great, Exactly what I was looking for! I will be buying more in the future for sure. Decal looks great on the truck and my husband was very happy with it! Decal came quickly, in perfect condition and even came with a free gift! Super happy with my purchase! !